What I love about photographing on location is that the results are always unpredictable. 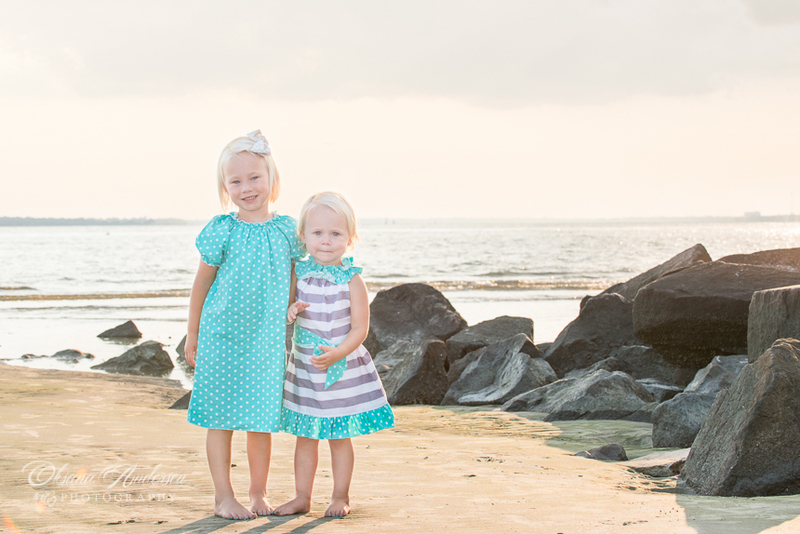 Even on the same location every family session goes differently, especially when the little kids are involved. The results depend hugely on time of day, weather, family dynamics, the kids' mood, etc. But when it comes to my sessions on the beach I know I will get great results simply because the kids forget about the camera very quickly presented with the opportunity to play on the beach and I have a chance to observe and document the joy of them playing next, with and in the water! 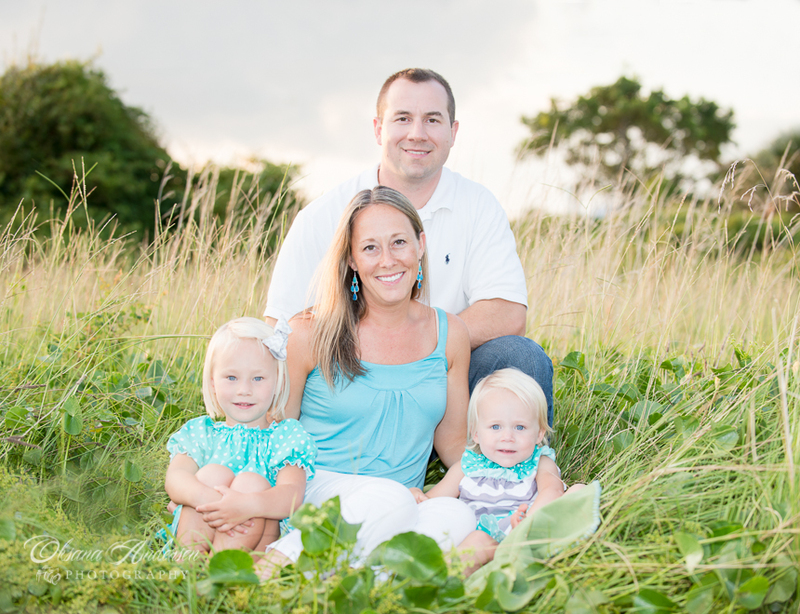 One of my latest family sessions took place on Sullivan Island where I can count on a gorgeous sunset in the afternoon. The storm cloud was moving in and the sky was very dramatic. But we didn't come there to shoot the scenery, right? So I asked the dad to throw his daughters up in the air, giving me an option to photograph some action and include the magnificent background. The little girls loved it! 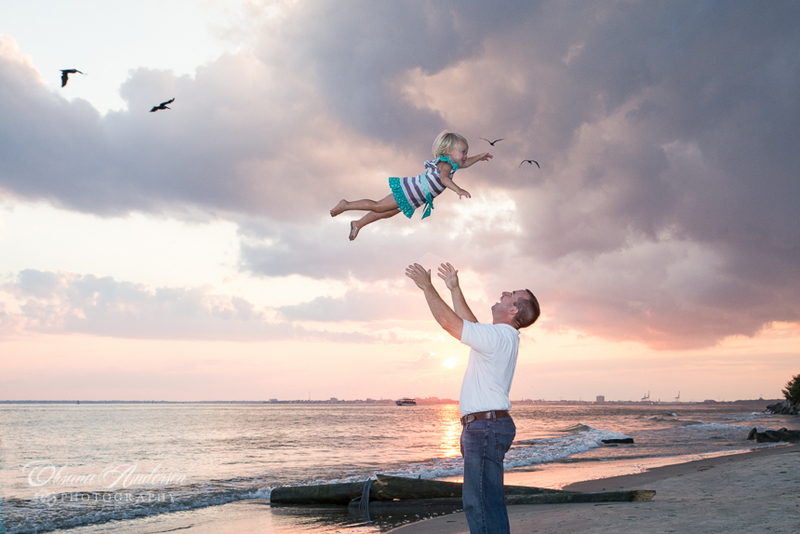 The dad was throwing them up so high my heart would stop for a split second watching it but I didn't stop shooting. And I am glad I didn't, I absolutely love the results! Here are the photographs from our session. Please, feel free to leave your comments below.